Dabner Yancey and son Abner Sr and grandson Abner Yancey Jr.
Dabner Yancey is the first recorded member of this family. He was born in VA in 1795. He died in Freemville, Milton Co., GA after Nov 4, 1869. He fought in the War of 1812. He was in the South Carolina Volunteer Militia. For his service he received to land warrants giving him to 80 acre parcels. Dabner and his brother Lewis married the granddaughters of George Head of Anderson, SC. His wife was Mary Siddall. Mary died in 1856 and Dabner married again to Elizabeth Phillips and had 2 children. With Mary he had 9 children of which the seventh was Abner Joel Yancey. 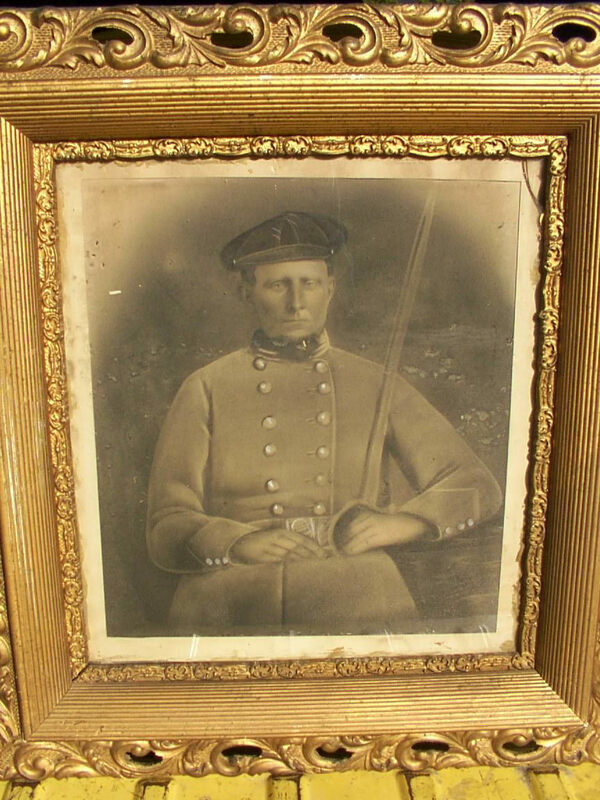 Photos of Abner Joel Yancey Sr.
Abner Joel was born in Pickens Co, SC in 1834. He died in Jonesboro, GA at the age of 30 during the battle of Jonesboro. Abner was 22 and Mary Rebecca Haley was almost 17 when they got married. They moved to their property on a river near Spring Place, Murray Co., GA. Abner bought the property from Mary's father. It is near the Tennessee border. Abner owned a clarinet, a flute and a violin which he liked to play. 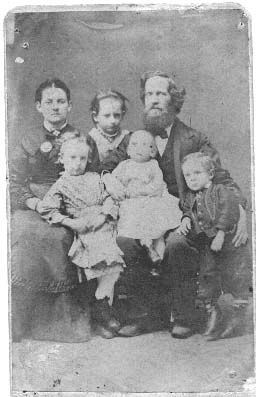 By 1862 they had three children, Mary Siddall (named after Mary Rebecca's mother), Frances Haley (called Fanny, her nickname was Tad for Tadpole) and Abner Joel junior, called Bud. Abner Joel sr. enlisted in the Grand Army of the Tennessee, 39th Infantry Regiment. He fought at Vicksburg, MS. After fighting at Champion's Hill and retreating to Vicksburg the unit was captured on July 4, 1863. 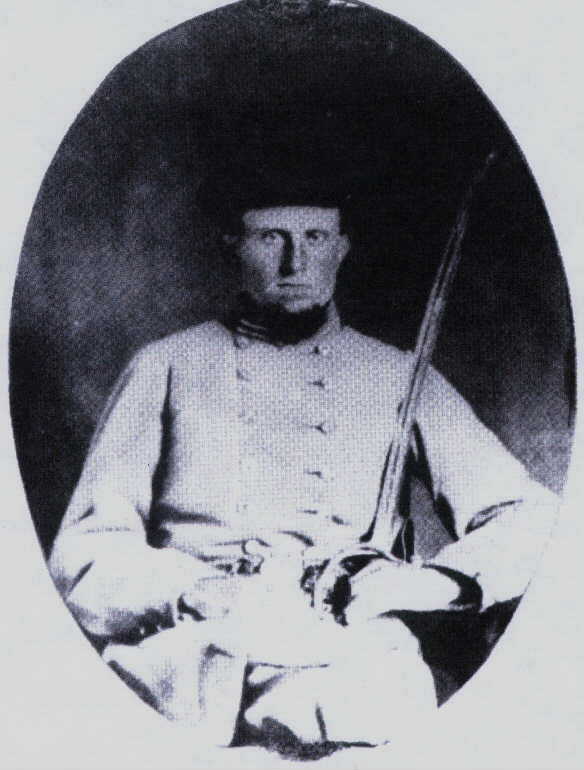 He later was paroled the regiment was reassigned to the Army of the Tennessee. He fought campaigns from Chattanooga to Nashville. He was killed at the battle of Jonesboro. His sword was returned after is death. The family still has this sword with the Hudleson part of the family. His wife, Mary Rebecca, was left at home to take care of three small children. She was only 22 years old at the time. A Yankee soldier arrived at there home one time during the war. The soldier was taking some of the family's small quantity of food. The children were scared and ran to their mother' skirts. Mary turned to the soldier, asked him to leave and said, "How would you feel if someone treated your sisters or mother this way?" He put the food down, looked at her, said he wouldn't like it and left empty handed. Aunt Fanny remembered this frightening experience all of her life and she was only 4 at the time. 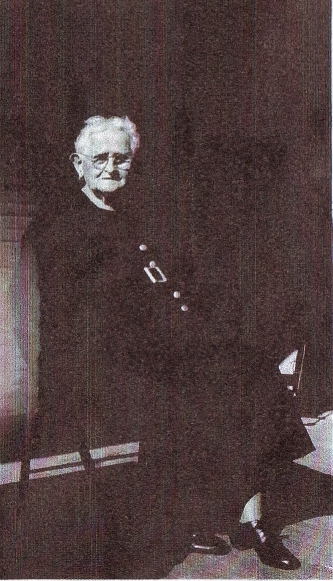 Aunt Fanny was Robert Timothy (Tib) Hawkins sister in law. A letter Abner Joel wrote to his wife is still in the family possession but is faded. Mary moved with her children back to her parent's home in Woodstock, GA. In 1888, after her parents died and her 3 children married she and her children all moved to Shackleford, Texas and by 1893 to California where she lived 30 more years. On the 1910 census to the question "How long have you been married she answered "50 years" even though her husband had been dead for 46 of those years and she had only been with him for 5 years. One of there children was Mary (Molly) Siddall Yancey who married Robert Timothy Hawkins. They came to Ceres CA in the 1890s. They rented and farmed land until 1911 when they bought the property that is know as the Hawkins' Ranch. Her sister Frances Haley Yancey and her husband Andrew Jackson Barnes also moved to CA. She was known as Aunt Fanny and visited her sister and brother-in-law and children at the ranch in Hickman. They had 5 children. Abner Joel (Bud) Yancey and his wife, Amanda Cordelia Barnes, (who was Andrew Jackson Barnes sister) also moved out to California. Abner and his brother-in-law, Robert Tib Hawkins came out to CA first and then after settling in brought out their wives and children. They bought land and had a farm and store near Montpelier. Abner also own property in the Twain Harte area. He is the reason our branch of the Hawkins' Family moved out to CA and also ended up with our cabin in Twain Harte. Many of the Yancey cousins still live in the area. Yancey's, Barnes, Hudleson's, Halls', Boswell, Kolher, Iredale, Wetmore and Reinitz. The following Articles talk about Great Grampa Robert "Tib" Hawkins and his wife's brother Abner Joel Yancey and a place he owned up near Twain Harte. I remember going to the old log cabin when I was a kid and seeing the Barnes and Hudelsons. The doctor's voice was grim, "You must get your wife out of the San Joaquin Valley or she'll never be rid of this malaria." Bud Yancey didn't question the doctor's verdict. He must seek a home at a higher altitude, uproot his family, and take Amanda, and the children away from the Empire City farm. After the initial shock Abner Yancey's mind worked rapidly, and it seemed only minutes before he glimpsed a solution. His wife's uncle wanted to sell his home in the Tuolumne County hills. James Harvey Mayes had homesteaded 160 acres of timber and pasture land in 1888 and added another 160 in 1892. To supplement his income from cattle Uncle Harvey had served as a government agent, selling blankets and other necessities to the Indians for virgin gold. Now, with urgent need for funds to finance medical care for himself and with his new England wife longing for "civiliza-tion," the pioneer wanted to sell and return to his native South. Fortunately, Bud Yancey was ready to explore the possibilities of life in the remote hills. Today, more than eighty years later, Bud Yancey's oldest daughter Frances Mary, recalls her parent's decision to "spy out the land," to visit the log house Uncle Harvey had built on the homestead in the isolated ranges above Sonora. This is only one of the mountain peaks in the memory of ninety-year-old Frances Mary Himes who is admired and envied by other residents of a Modesto retirement center when she returns with glowing cheeks and spirits from her daily mile walk, a pre-breakfast ritual. And there is no fudging on that mile. When weather prevents outdoor exercise she checks off the necessary eight round trips in the villa corridors. 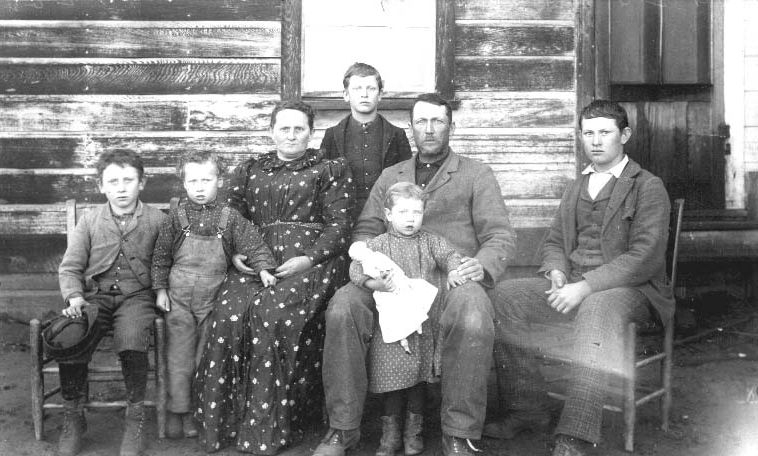 Mother and Father's decision to make an exploratory trip to the Deer Creek homestead is still vivid in the memory of "Daught," her parents' affectionate term when Fannie Mae proved too cumbersome. In early 1893 Bud and Amanda Yancey set out in the spring wagon for the three days' trip from Empire City to the future home. After a days' travel over rutted uphill roads the Neary pair stopped at Knights Ferry Inn on the Stanislaus River. Spirits revived by food and rest were soon dampened by a logger's blunt warning: "You can't get into those hills now. No decent roads and some places, no road-just a slushy trail. Your horses couldn't pull you through that clay." Disappointed but not dis-heartened, the Yancey's turned around and drove home the next day. When the San Joaquin Valley heat had browned the grain fields and dried out the lower ranges of the Sierra Nevada, Bud and Amanda started out again to learn if the homestead could be their promised land. This time their four children accompanied them on the three days' journey. Since there was no bridge across the South Fork of the Stanislaus River they drove through Sonora, what is now Confidence, and Sugar Pine, finally negotiating the steep grade down to Uncle Harvey's log house near Deer Creek. Although the house had not been completed it was a spacious structure with four rooms downstairs and a mammoth one above. On the first floor were a generous kitchen, a large living-dining room, a parlor, and a spare bedroom-and the upstairs could be used for a family dormitory. As promising as the house was its surroundings. Most obvious was the apple orchard already bearing fruit: pippins, winesaps, "grindstones" so named because human teeth could scarcely bite into them - and the large Gloria Mundis, the family favorites. Mrs Himes says she can still smell and taste those delicious aromatic puffy mounds of baked Gloria Mundis. Father Yancey saw more than the apple orchard. A vegetable garden could be planted near the upper spring, while the relatively flat area over the rise would be suitable for corn and grain. There was pasturage for cattle and horses and space for chicken and pigs, and the lower springs would provide ample water for the household and stock. And over there behind that huge boulder with bowl-like depressions made by the Indians grinding their corn meal he could build a privy shielded from the house. Yes, this could be their home, a challenge to the Yancey spirit -- and there would he no malaria at 4,000 feet. In September of 1896 the family moved. Bud and Amanda, Frances Mary now almost twelve, sisters Lena and Ethyle, and little Paul shared the lead wagon with their clothing and bedding supplemented by essentials for camping out two nights, plus groceries for the next five months. Following the spring wagon was a second drawn by four horses and driven by Uncle Tib. In it were axe and saw, plough, shovel, scythe, and a multitude of other tools which would be needed for tilling the soil and caring for the animals. A "starter" of chickens and pigs added life to the cargo. One major tragedy overshadows Mrs. Himes' happier memories 'of the move to the hills. Because a twelve-year old must attend school her parents arranged for their oldest daughter to live with Aunt Mollie and Uncle Tib in Empire City for the winter. Tearfully she begged to accompany her family to the new home even if she had to return immediately. Mother consented on one condition, that there be no tears when Fannie Mae started back with her uncle. The daughter kept her promise until the log house was out of sight. Then the dam broke. Today the heartbreak is still a painful memory, "I thought I'd never see my family again." As a final gesture of rebellion, when they were fording the river approaching the uncle's home, she jumped out the back of the spring wagon and raced into the bushes. Soon "Fannie Mae, Fannie Mae!" echoed frantically through the trees. When the fugitive heard Aunt Mollie reproaching her husband, "If she's drowned I'll never forgive you," the disconsolate girl surrendered. Those were busy and sometimes critical years on the Deer Creek farm, but the Yanceys faced no real deprivations. Meat, vegetables, and dairy products were home grown. Twice each year Bud Yancey hitched a team to the buckboard and made the three days' trip to Modesto for supplies. Sugar and flour, calico and thread were added to the shopping list as needs were anticipated, and apparently Father had no misgivings when choosing shoes for grossing children and printed calico for his daughters' dresses. Only once does Mrs. Himes recall an occasion when Mother's foresight failed: For weeks the family ate soda biscuits for breakfast because there was no baking powder. However the Yanceys were not completely isolated from family and friends for their own pony express brought mail weekly from Confidence. Each day in the hills opened with an established ritual. Father got up first to build the fire in the cookstove and to do the chores. By the time he returned from milking the cows and letting out the chickens Mother %vas making the biscuits, which were always sup-plemented by her husband's own brand of hot cakes. When "Daught" was home she helped her father cut and bring in wood or rode her pony to help with the cattle. Mother's days were filled with preparing the meals, churning butter, canning apples for winter, sewing for the family, making lye soap, and bleaching the clothes in kerosene cans over an outdoor fire-but she still had time to go walking in the woods with her children. Each Yancey day closed with another ritual: Mother read the Bible to her children. So impressed was five-year old Ethyl that she frequently reinforced the scriptures. Conveniently located a few yards down the hill was an ideal rock pulpit, and the little minister could be certain of an attentive audience: brother Paul, his dog "Sunday," and two well-dressed dolls made with skeletons of pine branches selected for their appropriately spaced twigs for arms and legs. Invariably the congregation as well as the birds and chickens heard the climactic warning, "If you're not good boys and girls, Cod will never let you into heaven" and the little fist pounded the rock mercilessly. In addition to daily tasks Bud Yancey enlarged his domain. First, he completed the log house and added a wide porch encircling three sides. Later he boarded over the logs and covered them with his own hand-hewn shakes. He built rail fences, two barns with stables and a harness shed, three chicken houses, a blacksmith shop, a wash shed, and a smoke house for curing their meat. The latter also served for winter storage. After her husband embedded a barrel in the dirt floor Mother Yancey alternated layers of eggs with grass and straw to use when the hens took a vacation. Another addition to the cluster of buildings was a log playhouse Father helped the youngest children construct on the hillside above the family home. There Ethyl and Paul cooked meals on a miniature stove rescued from a deserted mining camp. Roast robin was the usual piece de resistance. Occasionally the youngsters sat by the fire smoking their hand-rolled cigarettes made with wild peach leaves-and mother made no objection for often she boiled the leaves for her children's cough syrup. Mrs. Himes loves to talk about their rattler visitors. One day two-year-old Paul came running into the house to invite his mother to come see the "pretty Wag" on the rock beside the back door. After Father and Mother ended a rare game of Flinch on an out-door table they saw the path of a kibitzer which had crawled between their feet. Rattlers were more numerous than rabbits, and Mrs. Himes recalls with satisfaction the "dozens" she slaughtered, "When I saw a trace of one I wasn't satisfied until I'd killed him." But the rattlesnake killer was still a little girl-she was afraid of cows. When a neighbor's bull appeared near the children's route to school something drastic was needed. Mother gave her consent for the young teenager to shoot the gun to frighten away the animal. Unfortunately she aimed too low. So panic-stricken was Fannie Mae that ,he told no one of the catastrophe, not even when Father came home with the shocking news, "Amanda, someone shot the Johnson's bull." shoulders the rest of the morning. Later, Miss Yancey taught school, with summers usually spent at San Jose Normal. Briefly she was the entire faculty at the Deer Creek school, then she returned to work under Superintendent Morgan at Columbia. Later she was hired by the Tilden school board in Stanislaus County. This was followed by several years at Knights Ferry where for along time she boarded with the sister of Ulysses S. Grant, and finally she taught in Oakdale until her husband Harry (limes thought she deserved a vacation. Between the years 1896 and 190 7 Bud Yancey added more land to the Deer Creek farm until he had 1400 acres of timber and pasturage. When the doctor was convinced Mother was no longer susceptible to malaria the family agreed it was time to move closer to schools and other facilities. So in 1907 the Yanceys returned to the San Joaquin Valley where Bud Yancey bought a general merchandise store in Montpelier. He sold most of the mountain ranch back to the government but kept the log house and 120 acres to bequeath to his children, never to be sold until all agreed. They still own the property. Today the log house seems as sturdy as in the 1890's. Gone are the barns, the chicken houses, the smoke house, and the wash shed, but a few forlorn timbers mark the site of the children's playhouse on the hillside. The log house, now boasting a corrugated iron roof, gives evidence of years of living: warped porch floors and porcupine teeth marks on the pine supports, scratches on the door jamb recording the children's growth, and within the house faded paint and wallpaper, kerosene lamps and a pot-bellied stove, plus a hand-written warning on yellowed paper tacked to the stairway door, "Rat poison upstairs. Keep children out." Strangely enough the visitor knows the mammoth logs cut by Uncle Henry and his Indian helpers are still there, but the only visible evidence is the huge log which forms the threshold at the back door. Many of the rail fences, some obviously weary, still encircle the pastures, and three of the original apple trees are laden with fruit. Although depleted, water flows from the springs, cold and sparkling, and even more invigorating is the latest upsurgence of Yancey spirit. Bud Yancey's great, great grandson, disenchanted with earning a living in Alaska, has returned to the Deer Creek farm. Already he has mended fences and cleared weeds in anticipation of bringing in a few calves, a horse and a cow, as he envisions a difficult but rewarding future with as much enthusiasm as did his ancestor in the last century.